Manville Royale - Sta. 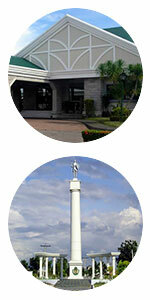 Lucia Land Inc.
Live like a royalty in Bacolod. 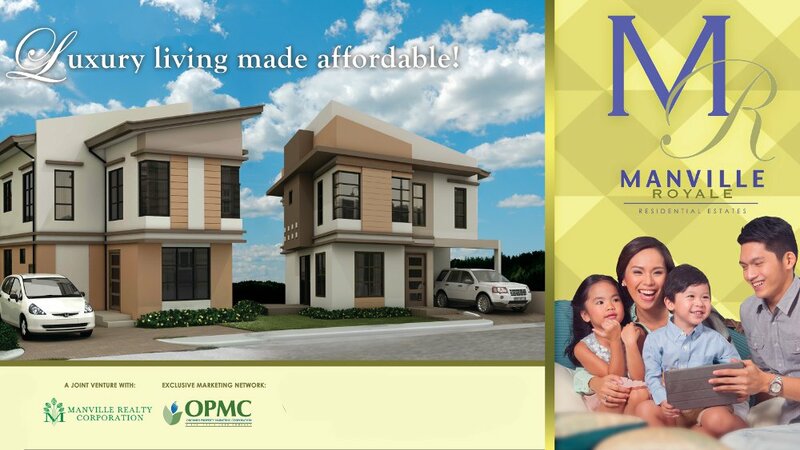 Sprawling 66 hectares of prime lots with first rate amenities in Araneta Ave., Tangub, Bacolod City , Manville lets you live like a Royalty in Bacolod City. The British Royalty Inspired residential community overlooks the majestic Mambucal mountain ranges. From New Bacolod-Silay International Airport, Head northeast, turn left toward J.Pitong Ledesma St, then slight right toward J. Pitong Ledesma St, Continue onto J. Pitong Ledesma St, turn left onto Bacolod Airport Access road and continue onto Carlos Hilado Hwy/Circumferencial Rd, turn right onto Araneta Ave then finally turn right at Copenhagen St where Manville Royale is situated. It is approximately 25.3 km and 45 minutes of travel from New Bacolod-Silay International Airport.